Matt is a native of Indiana, where he met the love of his life and high school sweet heart, Alissa. Together they have three beautiful kids: Landen, Naomi and Elijah. He and his wife have over 10 years of full time ministry at several mega churches and countless years of experience serving together at various churches/ministries before getting married and going into full time ministry. They are very much a package deal and do ministry together. Matt was called into ministry at the age of 15 and has been pursing ministry since. His secular & church experience makes him a utility player on any team that he's on. He holds an Associate and Bachelors degree from Purdue University in Construction Engineering Management and Organization Leadership & Supervision; as well as a Minor in Human Resource Management. His greatest passions in life are his wife and kids, seeing people meet Jesus and to be outside in the Great Outdoors. He loves to fish, spear fish, hunt, camp, go to the beach, play basketball…pretty much anything that involves being outside! Alejo was born in Pereira, Colombia where he lived until the age of 14. He moved to the Tampa Bay Area for educational purposes in 2006. He graduated from East Bay High School and is currently in his last year for his BA in Business Administration at the University of South Florida. Alejo encountered God and was radically saved in 2012. Shortly after, he served as the worship leader for Vessels Youth at CCH in Brandon, FL. During his time at CCH he also served as the worship leader for the young adults group Kingdom Culture. Kingdom Culture was focused on evangelism and homeless ministry. In 2014, KC released a documentary called City Upside Down in Tampa's Centro Asturiano Hispano theater compiling all of their evangelistic endeavors. After his time with KC and CCH he served in the Crossing Church worship team until he was led by the lord to serve at Wellspring Community Church in 2015. His Passion is to see God's people set free in order to adore their creator shamelessly and sincerely. Shay was born and raised in a small rural community near Garden City, Kansas . Shay was blessed to attend college in Iowa where she was able to run cross country and received her bachelors degree in Social Work. She furthered her education at the University of Texas- Arlington where she received her Masters degree. Shay and Randy were both raised in the church and accepted Christ at young ages. After marrying Shay and Randy began to deepen their relationship with the Lord and became more involved in ministry activities. Shay has held a variety of positions assisting others in the community, yet felt a calling to serve the local church. Shay currently serves as the Executive Leadership Assistant where she utilizes her gifts of service and creativity to support the Wellspring staff. 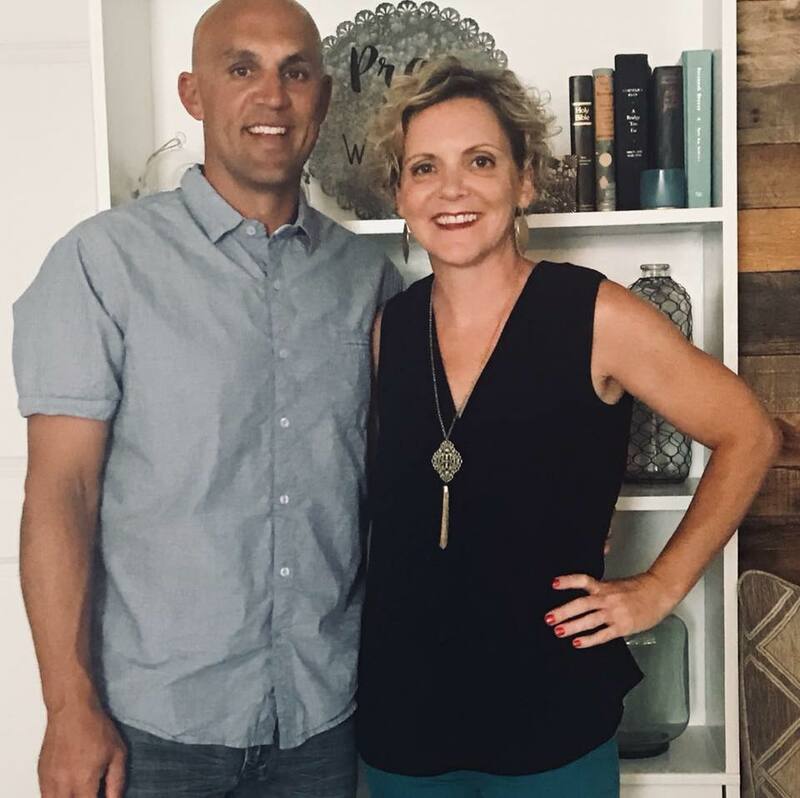 When not serving the Wellspring community Shay enjoys traveling with her family, going to the beach, attending her children’s activities, cooking, crafting, College football, and running. It is Shay’s desire to empower others to utilize their God given talents and find joy in serving others and glorifying the Lord. Amber was born in upstate New York. She attended United Methodist Church of Broadalbin from infancy to age 9. On her tenth birthday she moved to Hollywood, Florida for a short time before calling Lake Wales, Florida her hometown. She attended mass at Holy Spirit Catholic Church and graduated from Lake Wales High School. Though Amber attended church her whole life, it wasn’t until 2015, after the birth of her youngest daughter that she truly trusted in the Lord. Amber met her husband, David, in 2012. David is a Navy and Army veteran and currently serves in the Air Force Reserves. They have 4 beautiful girls: Jennifer, Haylee, Audrey and Madisyn. Together, Amber, David and Jennifer have served together in church for over 3 years. When she’s not at church, Amber likes to spend her time with her husband and daughters. She enjoys sewing, shopping, watching movies, hosting game night and dinner parties at her house. Joe Ruggiero was born in Tampa, Florida, and grew up in the Ruskin area for 18 years. He grew up in the church, yet his faith did not become his own until 2008. He encountered God personally after a tragedy that sent his life into a spiral. During the years of High school he became deeply involved in his youth ministry as leadership at The Life Church in Riverview Florida. 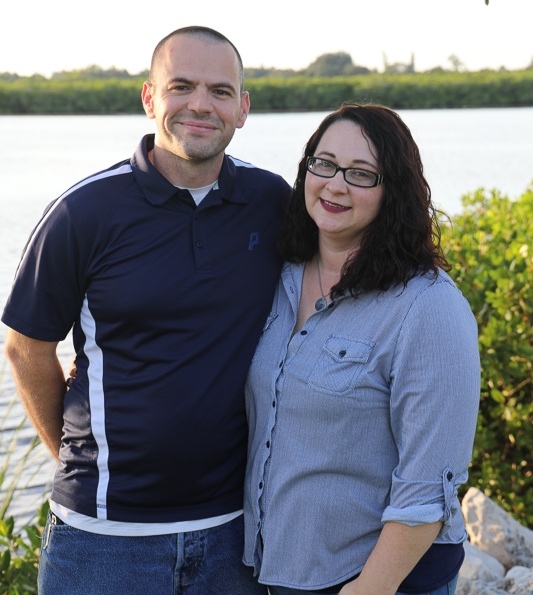 The Lord led Him to move to Bradenton, Florida to attended Bayside College of Ministry based out of Bayside Community Church. While at Bayside College, he taught classes, personally led teams of young adults through events, outreach, leadership trainings and missions trips all the while being heavily involved in the Next Generation Ministry. He graduated with His Bachelors in Ministerial Leadership in 2016. He felt the leading to join the Church in August 2016. His Passion is to see people encounter the reckless Love of the Father personally, that they may have an authentic relationship to be a Leader and Model in their own world. Eric and Mary Douglass are from Baltimore, Maryland. They have known each other for more than 60 years and have been married for more than 38 years. They have 6 children of their own and are mother and father to hosts of others that call them Mom and Dad. The Douglasses have done Christian ministry for more than 30 years together, counseling hundreds of people from many faiths and denominations. Eric is an accomplished and ordained pastor and teacher. Eric is a veteran of the US Army and attended the United States Military Academy at West Point. For his theological training, he attended Wesley Theological Seminary and The Ecumenical Institute of St. Mary’s Seminary. Eric has an advanced degree in management and biomedical engineering. Mary is a retired teacher who is ABD doctorate in education and was trained in church administration by one of the AME Church’s best. Eric and Mary love the Lord and each other and seek to bring joy to all God’s creation. They love Wellspring and are absolutely committed to her vision and future place in the Kingdom of God. Megan Millar was born in Miami, FL and lived there until the age of 12. She moved to the Tampa Bay area in 2011 for family purposes. She graduated from Ruskin Christian School and is currently working on her Bachelors of Science in Psychology at Southeastern University. She grew up in the church and actively served in her youth group, missions team, and kids ministry. It was not until she graduated high school that she felt the Lord calling her to use her life story to not only change lives for Christ, but also to help hurting people. Her passion is her family, writing, and helping to brighten the lives of others with the love of Christ. 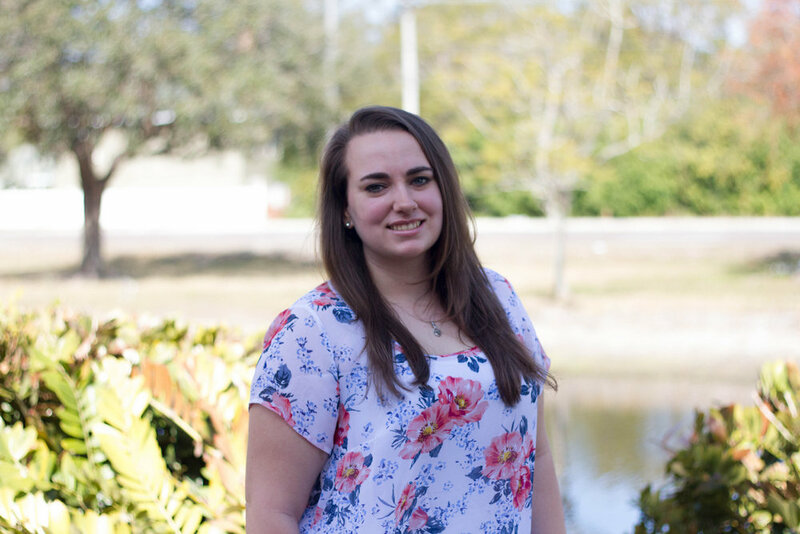 She loves leading in our Wellspring Kids Ministry, aspires to impact lives, and to bring joy to everyone she meets. Zach was born and raised in Alabama. He graduated from Masters Commission Ministry School in Los Angeles. Zach has served in many different positions in church ministry over the last 20 years. He met his beautiful wife, Erin, in Alabama while serving on staff at a church and they have 2 beautiful boys: Benjamin, who is 5 and Samuel, who is almost 2. Just recently, Zach graduated with honors from Highlands College in Birmingham Alabama. During his journey, he has learned that the Great Commission is all about helping people take Next Steps in their walk with Christ and loves helping people do this through community and small groups. His greatest passions in life are his wife and kids, helping people meet Jesus and take Next Steps in their walk with Christ. He loves to hunt and fish and anything dealing with baseball. Quirssa was born in Tampa, Florida. She spent her younger years in Brandon and attended Providence Baptist Church. She moved to Riverview in 2001 and started attending The Crossing Church in 2006 when she met Ben. She was baptized May 2007. After graduating from Riverview High School she moved to St Augustine and attended the local community college. They got married in 2009 and now have two handsome boys. They were stationed near Charleston, SC in 2011 when Ben enlisted. Upon returning to the Tampa area they started attending church again and got involved in a few different ministries such as MOPS, life groups, children’s ministry, and Emerge. Their oldest, Jeremiah, is in cub scouts and is learning to play piano. He is very quiet and to himself. Noah is the wild child, very loud and wants everyone to know he’s around. He loves the water and playing soccer. They also have two big dogs, Sandy and Ray. When she’s not serving at church you can find her with her family. She loves shopping, going to the beach, going to the movies, and having game nights at her house. Jill was born and raised in Tarpon Springs, Florida. She is very proud to be an eighth generation Floridian and an only-child. Growing up, she was a member of the First United Methodist Church of Tarpon Springs. She worked at this church as a Lead Childcare Worker for six years until she finished college. She attended St. Petersburg College and received a Bachelors of Science Degree in Elementary Education, then taught Kindergarten through Second Grade for eight years. She moved to Apollo Beach when she married her husband Chris in 2014. Chris and Jill have two young children, Caden and McKinley. 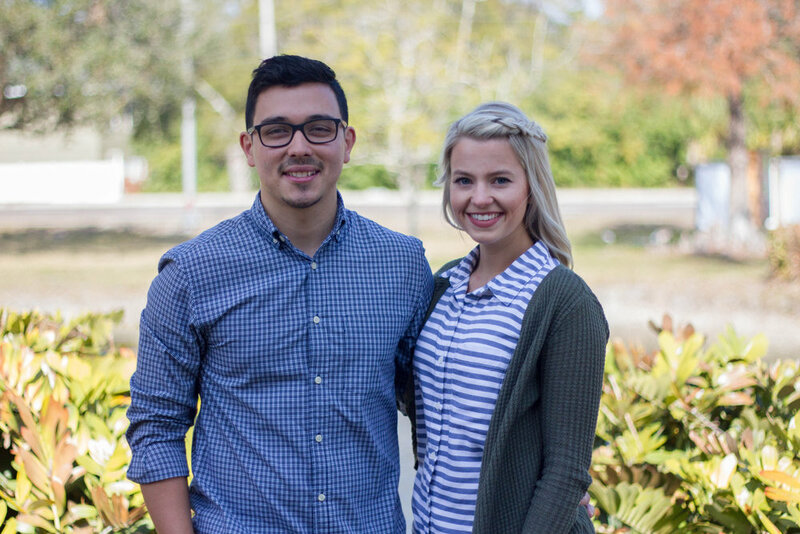 They have been attending Wellspring Church for almost 3 years and have served in Connections and Youth Ministries. Jill loves spending time with her husband and children while traveling, visiting parks, camping and riding four-wheelers. Her goal is to one day visit all of the National Parks in the United States. Born and raised in the Tampa Bay area, it’s no surprise that the surrounding cities have stolen this Native-Floridian’s heart. As one of six kids, there was never a dull moment for Preston growing up. Throughout the early years of his childhood, he had opportunities to travel to about 40 of the 50 states because his father (the late Mark Eaves II) loved taking his family on frequent vacations. Preston grew up in the church and trusted Christ as his savior in his early teen years. He was homeschooled throughout all of middle-school and high-school and later attended Hillsborough Community College. But don’t let the homeschooling fool you… he wasn’t the stereotypical “awkward homeschooler” that everyone imagines when they hear the word “homeschooled” (promise). He bought his first home in March 2018 and hopes to find a God-fearin’, ministry-passionate, kid-lovin’, movie-watchin’, music-minded, nerdy, smokin’-hot wife… settle down… have some kids… and become the coolest Netflix-binge-watching dad ever to his kids. Preston owns and operates (insert shameless plug here) his own business called “LION OF DANIEL”, a technology and multimedia company based in Tampa, FL. One of his dreams is to help organizations of all shapes and sizes overcome their technology challenges. His hobbies include breakfast, lunch, and dinner… Just kidding (kind of). In all seriousness, Preston’s passions include MUSIC, concerts, MINISTRY, road trips, PEOPLE, boating, FOOD, the four seasons, TECHNOLOGY, the beach, MARVEL MOVIES, restoring old things, HANGING WITH FRIENDS, and those fun little umbrella straws that you put in your glass.